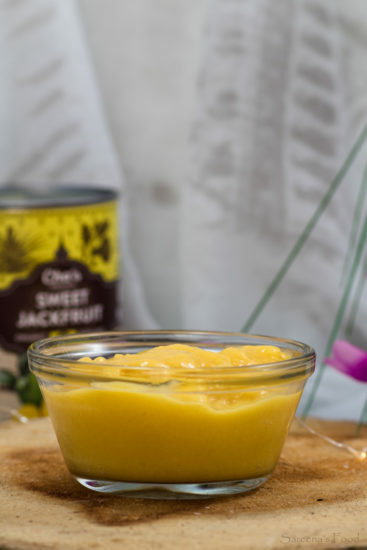 Have you ever tried sweet jackfruit, I am in love with it! This was my first time trying it, and it’s so good! I used Cha’s Organics jackfruit; they have such a wonderful selection of organic foods, and the sweet jackfruit is one of them. If you want to see their selection of food, click HERE. 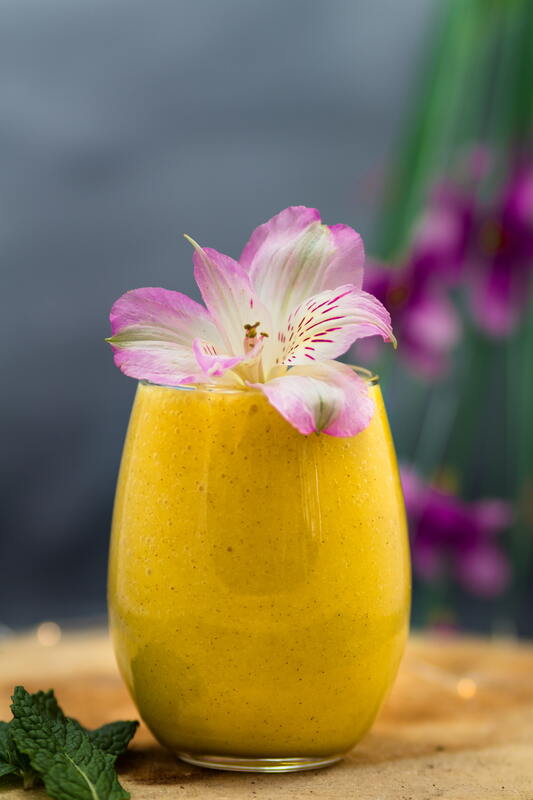 After tasting it, I knew that it would be delicious as a smoothie, and I was right. I will be making this multiple times. 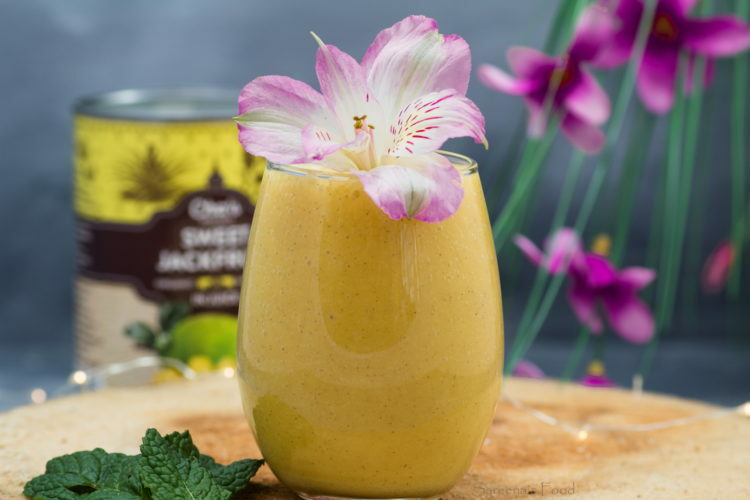 You can freeze the jackfruit first if you want it a cold drink, or you can add ice cubes. If you add ice cubes though, it may dilute the taste though. Blend it all together and enjoy immediately. Blend all the ingredients until smooth. Add ice if you want it a thicker consistency. This is so delicious and refreshing! 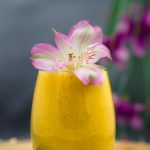 I’m looking forward to having more of this smoothie!